Salam! (hello!) I’m Chiara, an MRes student at Roehampton University. I arrived in Morocco just three weeks ago and thought I’d describe my first experiences of life in Morocco and the field. After what seemed like waiting for eternity, on March 10th I finally took my first steps in Africa. To say I was excited is an understatement. I could hardly wait to meet new people, experience a different culture, try new foods and most importantly see and work with wild monkeys for the first time. I currently live in a lovely flat in Azrou with Chris and Tom. There’s a nice kitchen, warm water and we even have the luxury of the internet! Azrou is a little Berber town which has a lot going for it. It’s quieter and there’s less bustle than in bigger cities which is perfect after an exhausting day in the field. 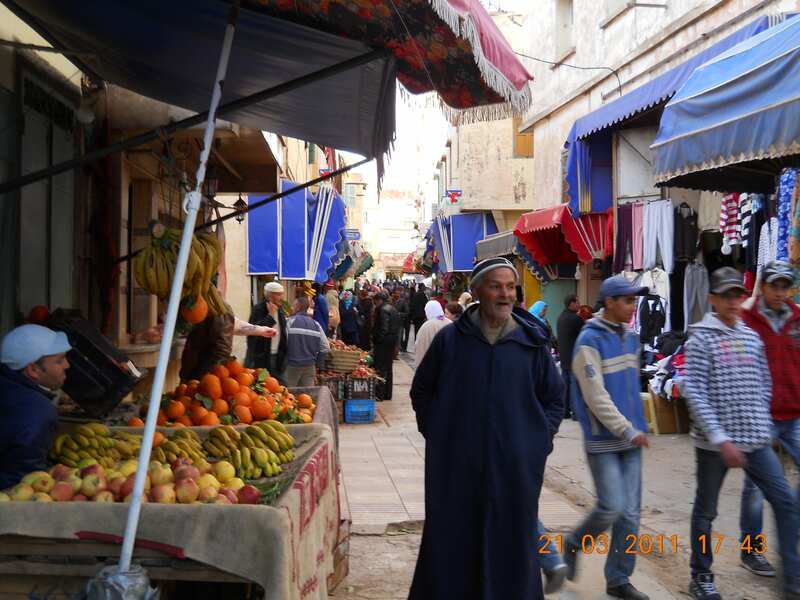 Little pleasures include the daily trip to the market where you can get delicious fruit and vegetables, dinners out in ‘chicken place’ which gives you a feast of a meal for under £2, drinking Moroccan mint tea and going for a hammam. The people here are so welcoming and friendly too! Only last week Sandra and I had a sneak peek into a Moroccan celebration when we were randomly invited into a neighbour’s home to meet their newborn baby boy. One thing I would definitely suggest is learning a few basic phrases in Arabic since this language is mainly used in Azrou. 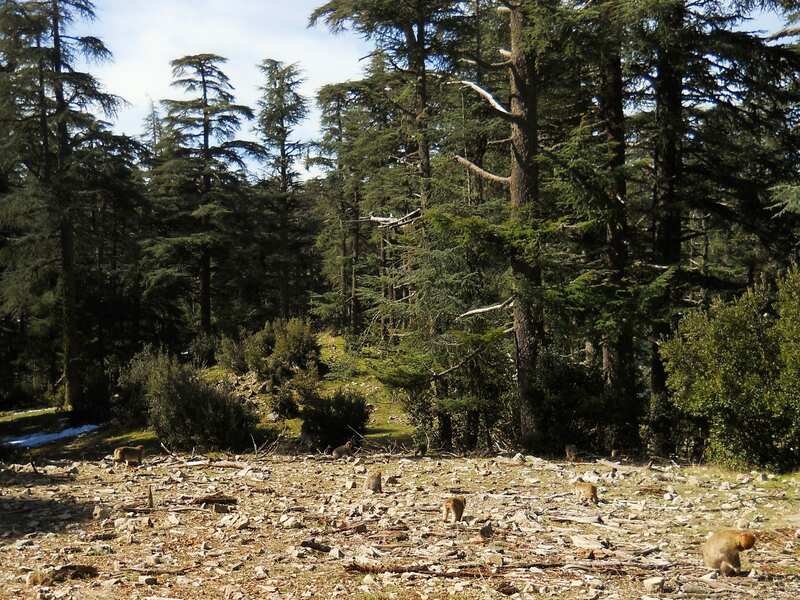 I work with three groups of Barbary macaques in different areas of Ifrane National Park. My project mainly involves collecting faecal samples from adults to assess their endoparasite egg diversity and prevalence. I’m also assessing their body condition by using photogrammetry to estimate their body size and a scale to assess their coat condition. The first group I worked with was the Green Group. It was during the five days with this group that I saw my first coalitions, triadic interactions and adult playtime! 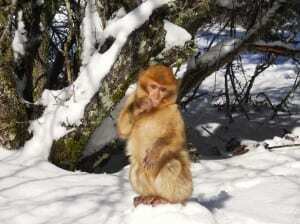 I was also lucky enough to see Barbary macaques in the snow, baby boars and a jackal. 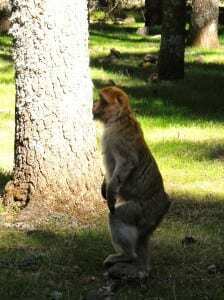 Just a few days ago I saw Anna’s cute new infant and saw a monkey stand on two legs for the first time! 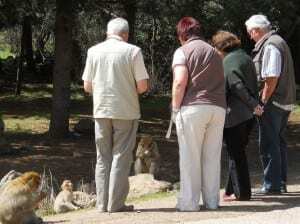 The Scarlet Group are a lot more wary of people and it took a while for them to become comfortable with me. I was amazed by this group since I managed to collect each adult’s faecal sample in two days! I put it down to their largely grass diet and constant ranging. This makes up for the fact that they are sometimes harder to find – yesterday Chris and I searched for them for almost five hours to no avail! Unlike the Scarlets, from the very first day the Tourist Group monkeys had no problem with me walking right by them. They are much bolder and the infants have even used me as a jumping post when my back was turned. This warrants me to give them a stern look since otherwise the adults may get angry with me! I have had an awesome time in Morocco so far and can’t wait to see what experiences April will bring!